The Combat Wounded Coalition™ is a non-profit organization (Tax ID – 27-0426467) that inspires combat wounded warriors to Overcome through four program pillars: Pride, Power, Purpose and Peace. CWC provides support to Purple Heart recipients, warriors that were injured while training for combat and those that have TBI and PTS related injuries directly related to combat. CWC connects combat wounded warriors to vetted partner organizations that will enable us to directly match and fund warrior needs with partner services. CWC then provides the oversight, management and accountability of warriors as they pass through the Four Pillar Pipeline tracking them before, during and after receiving support and services provided by the CWC and our strategic partners. Additionally, CWC has developed and launched the Overcome Academy,™ a curriculum based program of leadership, resiliency and communication skills for wounded warriors. Designed to get them back into their communities as leaders, our warriors then go on to work with schools, businesses and youth mentorship programs. The goal of the Overcome Academy is to develop our current generation of wounded warriors into the next greatest generation. 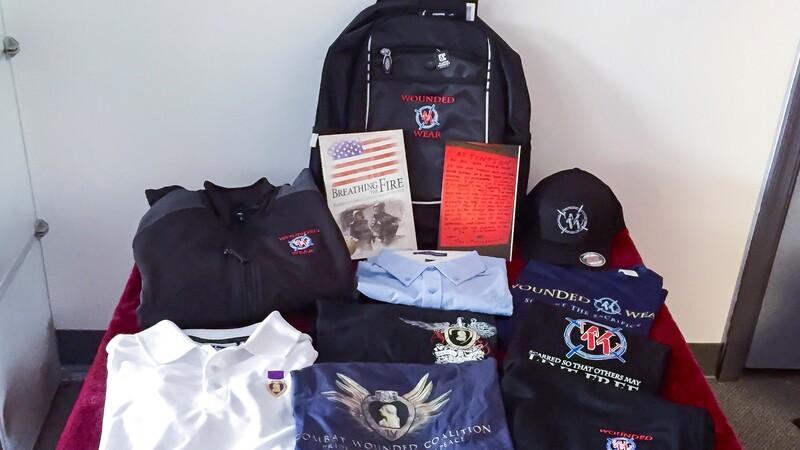 Additionally, CWC stays true to our original mission of providing clothing and clothing modifications to our wounded warriors through our Wounded Wear clothing program. The Combat Wounded Coalition's Families of the Fallen Program, as part of its mission, is committed to providing support to families of service members killed during combat operations or during hostilities against the United States. CWC also provides support to families of service members who died from complications from injuries received during combat operations or during hostilities against the United States, to include accidents and exposures. In addition, we provide support for families of service members killed during training missions in preparation for combat operations and families of service members lost to suicide, as a result of post traumatic stress, after service in DOD-identified combat theaters. Due to the focused scope of our mission we do not have the resources to support families of service members who died of natural causes, as a result of crime, routine military training, accidents, illness or suicide not directly linked to combat experience. CWC is currently developing our programs to support families of the fallen. If you are a family of the fallen, meet our criteria above and are interested in learning more about programs that CWC is currently developing, please contact us. The Combat Wounded Coalition holds a number of annual empowerment events throughout the year. Our signature event is the Jumping for a Purpose skydiving event. 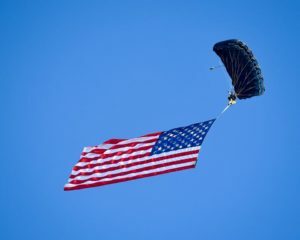 CWC holds two of these each year, once in the summer and once in the fall, where we bring combat wounded warriors and Gold Star family members from around the nation and give them the opportunity to skydive out of a "perfectly good airplane." CWC founder, Jason Redman, speaks to each group of skydive guests about living greatly and overcoming adversity. He encourages them to understand that life did not end despite loss or injury and that the only limitations we have in this life are the ones we place on ourselves. 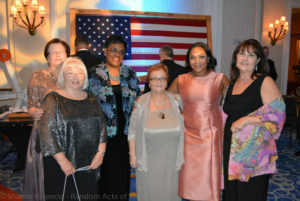 CWC's other major event is the Toast to the Heroes Gala held each spring. The event includes dinner, dancing, entertainment and special guests. This is an evening of recognizing sacrifice made by our combat wounded warriors and Gold Star families while also giving our guests a night of true camaraderie. A silent auction is held in conjunction with the event as a means of fundraising for continuing CWC's mission. The Overcome Academy is a curriculum based program operated through the Combat Wounded Coalition, which teaches purpose, mission, leadership and resiliency to combat wounded warriors. Additionally, it will instructs wounded warriors on how to best speak, dress, present themselves and interact with civilian companies while also receiving mentorship from these companies for success. The Overcome Academy puts our graduates into leadership situations speaking at schools and mentoring kids. More than anything, the Overcome Academy will help each warrior understand that the leadership skills they learned and witnessed in the military are invaluable in the civilian world. Our warriors learn that they can overcome and set the example as a leader within their family, workplace and community.